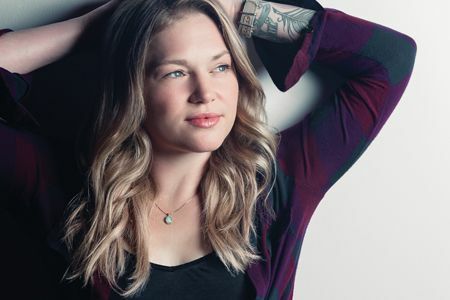 Crystal Bowersox emotive folk-rock-country style has been catapulted from the cramped coffeehouses and cavernous subway tunnels of Chicago to millions of homes across America when she placed second Season 9 of American Idol. Her old soul of a voice, care-free style and “don’t mess with me” attitude set her apart from the other contestants and eventually landed the self-taught songstress performances with the like of the legendary Joe Cocker, Michael Franti, John Popper, and BB King, Harry Connick, Jr., and Alanis Morrissette. There is a sincerity and authenticity about Bowersox that just can’t be manufactured. The same can be said about her musical prowess, which has all the markings of a creative force to reckon with who is in it for the long haul. Her rich amalgam of blues, country, folk, and rock makes her one of the most dynamic young voices in music to come along in years.